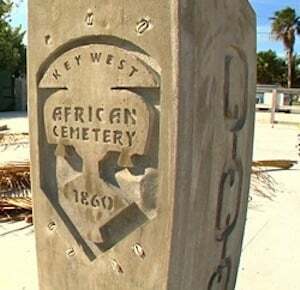 Visitors and residents can learn more about the African-Americans who helped shape Key West’s history during guided cemetery strolls set for Saturday, Feb. 23, in honor of Black History Month. The 19-acre cemetery was established in 1847. During the 90-minute strolls through the site, groups are to be escorted to the gravesites of many of the island’s notable African-American residents where interpreters will tell the stories of the deceased. Strolls are scheduled to depart from the cemetery’s Frances Street gate every 20 minutes beginning at 9 a.m. The event is sponsored by the City of Key West, Historic Florida Keys Foundation and Friends of the Key West Historic Cemetery Committee.